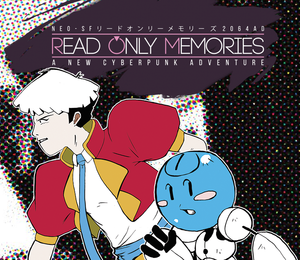 Originally titled "Read Only Memories"
Includes the original release for all platforms. Demo also available. Includes the original release for all platforms. Contains Sounds of Neo-SF (soundtrack) and Sights of Neo-SF (artbook). 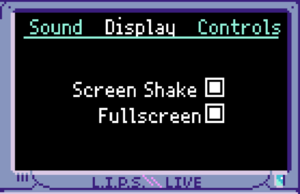 Unity launcher accessed by holding ⇧ Shift when starting the game. Example of game running in 1920x1080 resolution. Game does use proper resolution, but black bars are added around game area. 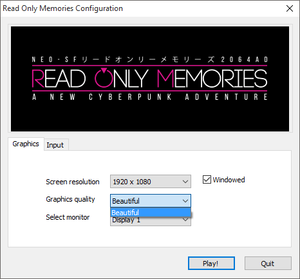 Game uses desktop resolution, but game is rendered 320x180 which is upscaled using nearest neighbour. Toggle with Alt+↵ Enter or from options. No frame rate caps, almost all movement in game is ~60 FPS including cursor. XInput and DirectInput. 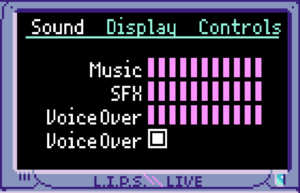 Ability to use either virtual cursor or regular item highlighting. 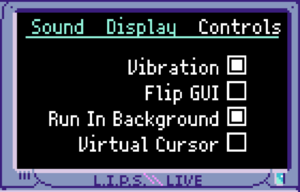 Renders most DirectInput controllers unuseable, confirm button isn't bound to anything. Can't be toggled. Speed adjustable. ↑ Verified by User:Marioysikax on December 26, 2015 Tested with 120 FPS recording.